The Witcher 3: Wild Hunt won't be out for another five days, but CD Projekt has unleashed the "launch cinematic" today, and it's exactly what you'd expect: dark, violent, sad, and spectacular. 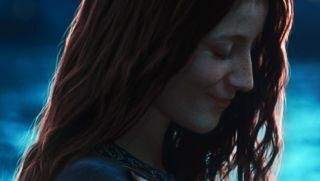 Anyone who's played either of the previous Witcher games probably guessed immediately that the lovely redhead singing the sweet song was bad, bad news. Geralt seems to have a rougher time with this job than he's had with others in the past, too. Perhaps he's getting old? The Witcher 3: Wild Hunt comes out on May 19, and the reviews have thus far been out of the park. They've also been restricted to the PlayStation 4, unfortunately, which is why you haven't seen one from us yet. Find out more about what's going on here, and read some of our pre-review impressions—based on the PS4 edition—right here.